Functional classics. Happy weekend all! I love your fashion posts! The collections are impecable. So happy to have found your blog. It's beautiful. Love, love, love and beauitful! They seem utilitarian, and yet they are still gorgeous. How does on do that? 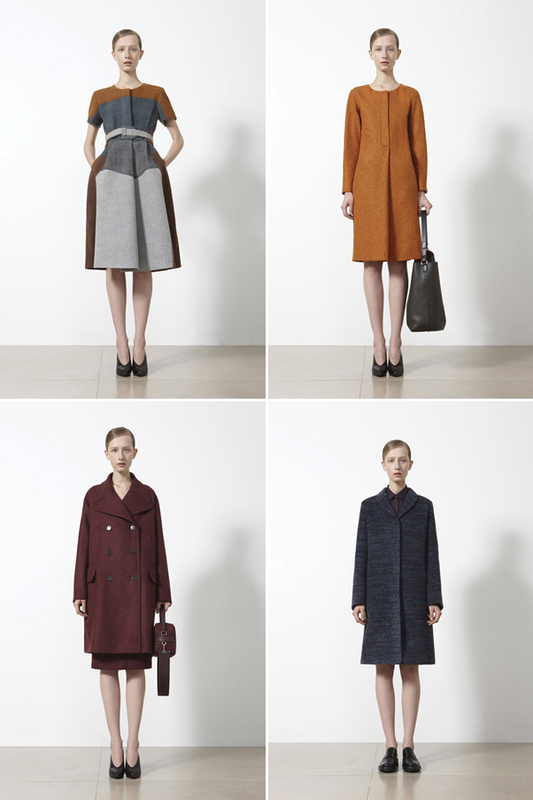 jil sander is one of my favorites! really loving the autmn-y color schemes! Hi seesaw, just saw you mentioned over on Say Yes To Hoboken about being named one of the new up and coming blogs at the Alt Summit. Didn't know if you heard!?? Congrats! the first dress is so lovely! Wow, so beautiful. Love the blog too! It's JIL Sander Not JILL!